Learn about Vintage Security and our mission to provide the best security & home technology solutions to our customers in Washington D.C, Northern Virginia, and Maryland. 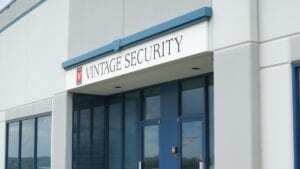 At Vintage Security we believe that the “life safety’ business requires a personal and professional approach. Our management team has more than 300 cumulative years of experience in the industry. This experience has taught us that by carefully working with each individual customer, our company can grow larger without losing what our customers value the most – Personal Service. We know that our customers want prompt, reliable and courteous service and our goal is to protect your family, business and property. We accept this responsibility with pride. Vintage Security is licensed and bonded to conduct business in Maryland (107-1679), Virginia (DCJS # 11-7598) and the District of Columbia.